The IC-7113W features a motion & sound detection system, two-way audio, built-in microphone & speaker, built-in selectable lullabies, temperature & humidity sensor and a microSD/SDHC card slot. Motion and sound-triggered recording ensure that you capture any unusual activity and the wireless user interface allows for easy installation and monitoring. And with the EdiLife smartphone app, the fully-featured IC-7113W enables your smartphone or tablet to transform into a baby or mobile monitor. ?Plug-n-View for Easy 24/7 Remote Monitoring Edimax Plug-n-View technology makes it easy for you to keep an eye on your yard, garage, shop, factory or other assets wherever you go. With Plug-n-View technology you can connect your network camera to the cloud in a few simple steps and access it remotely with a smartphone, tablet, or computer no matter where you are. The IC-7113W’s Acoustic Echo Cancellation feature ensures crisp and clear sound quality during two-way audio communications. Industry standard echo-cancelling technology usually found in telephony and VoIP systems provides a new level of sound quality for home network cameras and allows you to listen, talk and communicate remotely with the camera’s location without sound quality issues causing interruptions or difficulty. 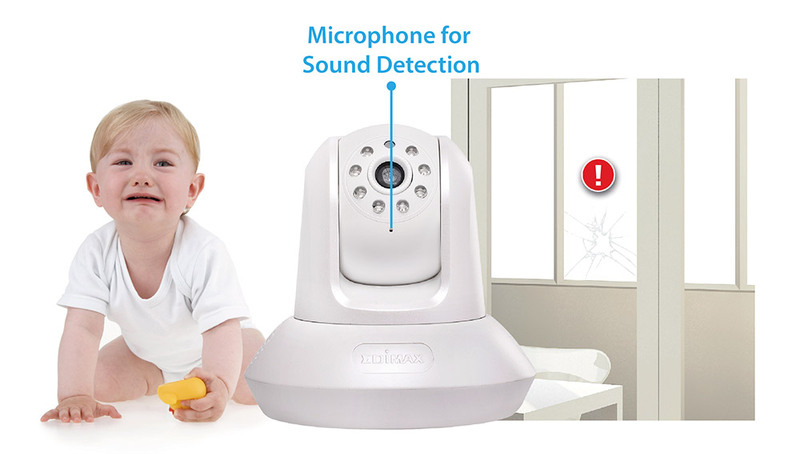 When trusted with home security or checking on your child, the IC-7113W performs at the highest level and lets your hear exactly what’s going on. . The IC-7113W is built with a wide F2.0 lens which covers an impressive diagonal viewing angle of 78 degrees. 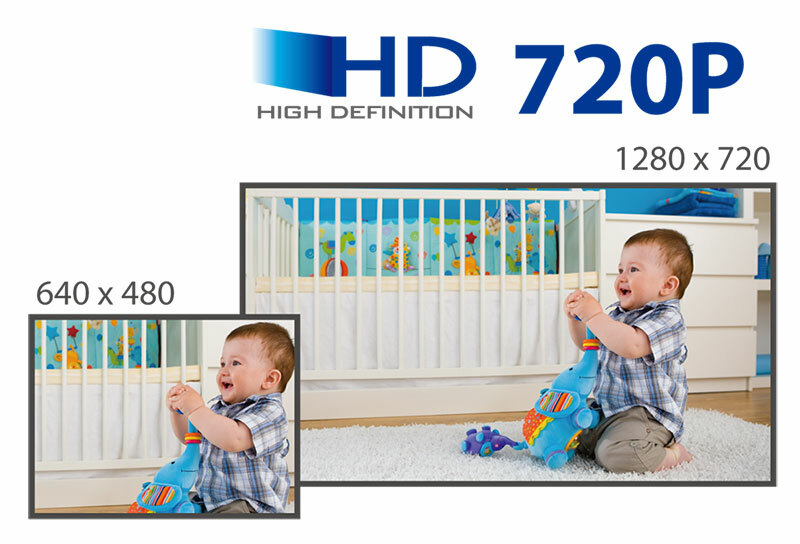 With a megapixel CMOS sensor, the network camera is able to capture up to 720p (1280 x 720) videos at 30 frames per second. A built-in microSD/SDHC card slot supports cards up to 64GB for local storage and backup. Automatic alerts to inform you when temperature or humidity exceeds or falls below your settings. Easily pair with IC-5170SC and attach to places you want to monitor remotely. The WS-2003Ps dual temperature and humidity sensor keeps you aware of micro climate changes in your environment. People often receive daily weather reports to choose clothes for warm or cold weather outside but dont know much about indoor conditions. The IC-5170SC provides a 180-degree panoramic view for an excellent field-of-vision across an entire room. It also can be focused on areas in detail with high quality video streaming. Clearly see your loved one kids, pets or the elder - in every moment to offer you a great peace-of-mind. Affordable home automation isnt a dream. Pair up to 32 sensors with the IC-5170SC , each type of sensor max 8pcs, and fit the sensors wherever you need around your home. No installation costs. No monthly fees. No subscription required. LED for pairing status and low-battery indication. Push alert when the sensors battery is low. 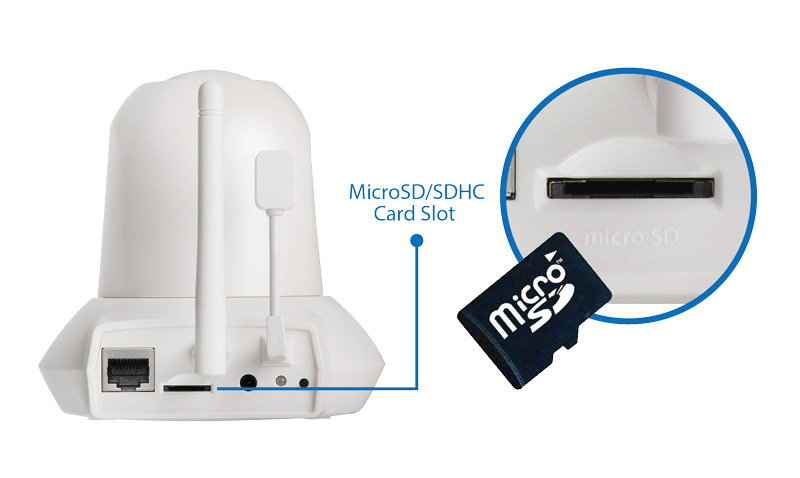 Up to 32 sensors can be used with IC-5170SC wireless dongle. Each type sensor max. 8pcs. Automatic alerts to inform you when motions is detected. LED for pairing status and low-battery indication. Push alert when the sensor’s battery is low.. The WS-2002P Passive Infrared (PIR) Sensor is a smart motion sensor that accurately detects motion via infrared radiation caused by temperature changes - such as when a person or animal passes by the sensor. 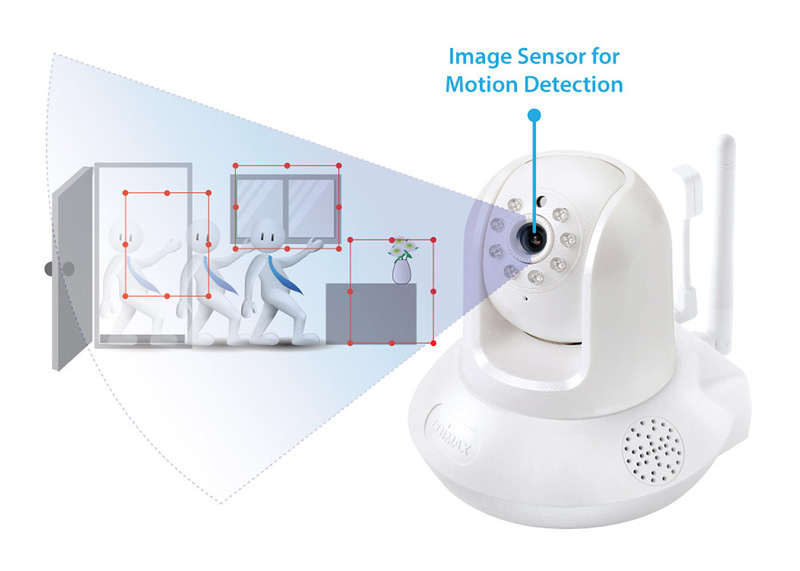 With the sensors 3 meter detection range, you can protect your house and environment and receive motion-alert push notifications and video footage, to see exactly what the sensor detected. The accuracy of a PIR avoids false alerts from movement such as shadows, street lights or branches swaying in the breeze. 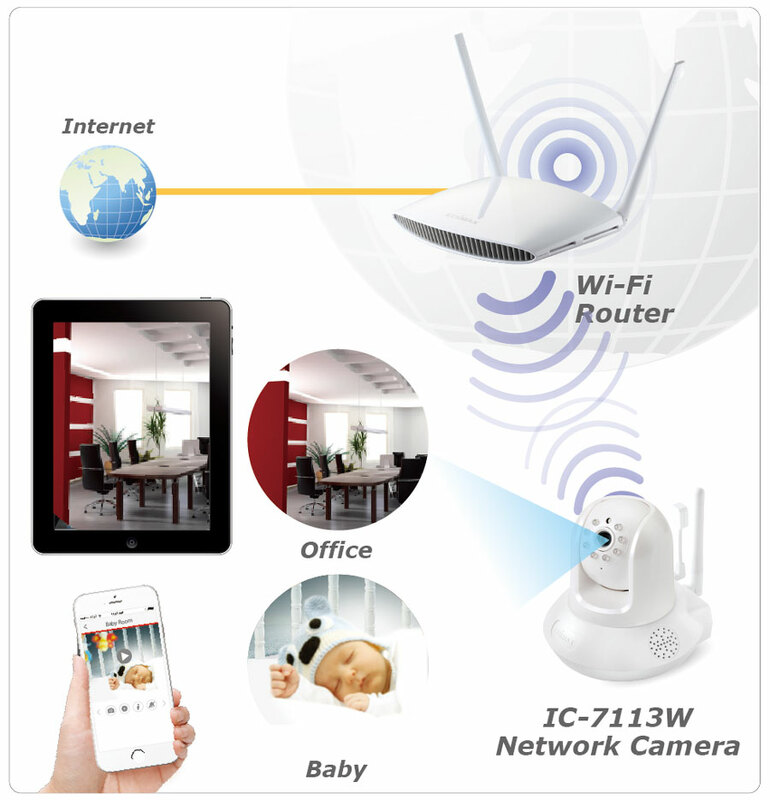 Edimax smart sensors are universally compatible with your existing Wi-Fi network. They work over 2.4GHz RF technology which provides proven, stable and secure wireless data transmission. Edimax smart sensors are powered by AAA batteries which are easy to replace. The sensors low-power design enables long battery life with daily use. When battery levels are low, youll be informed by the EdiLife mobile app in plenty of time to get replacements. For safe and protected homes. Sometimes you just want to make sure that everything & everyone is safe and sound. With the precise, reliable motion-detection of the WS-2002P’s PIR sensor and real-time videos over IC-5170SC, you can be assured that everything is secure. Be calm and stress-free without false alerts. Conventional motion sensors can’t differentiate types of motion like a PIR sensor. By detecting changes in IR radiation, the sensor won’t disturb you with annoying alerts about shadows or lighting changes. Keep an eye on family. Little children and toddlers safety can always be a concern. Use a PIR sensor to detect if they’re going somewhere you don’t want them to be, and keep them in your safe zone. You can use the sensor in the same way for elderly relatives or pets. The WS-2002P PIR Motion Sensor works with the IC-5170SC gateway which to offer wider angle views than conventional Wi-Fi cameras, the IC-5170SCs fisheye camera can cover your front door, garage or a whole room without surveillance blind spots. Compared with installations of other cameras on the market, the IC-5170SC not only slashes the cost of devices, storage space and bandwidth but provides more convenience to work with multiple environment sensors to watch and secure your properties at the same time. Its effective regardless of whether youre living in a small apartment or a mansion. The IC-5170SC provides a 180-degree panoramic view for an excellent field-of-vision across an entire room. It also can be focused on areas in detail with high quality video streaming. Clearly see your loved one – kids, pets or the elder - in every moment to offer you a great peace-of-mind. Affordable home automation isn’t a dream. Pair up to 32 sensors with the IC-5170SC , each type of sensor max 8pcs, and fit the sensors wherever you need around your home. No installation costs. No monthly fees. No subscription required. Triggered by sensors, recordings from the IC-5170SC can be saved directly to microSD, SDHC, NAS, Google Drive or Dropbox* flexible options for you to save video on the cloud or local storage. Save events directly to your NAS or cloud storage instead of local physical devices for remote backup. Built-in reed switch works with 2.4G RF to send warnings immediately when the Door / Window Sensor separate. Slim design. Ideal for doors, windows, safes or important drawers. The WS-2001P Door and Window Sensor is one of Edimaxs range of Smart Sensors. 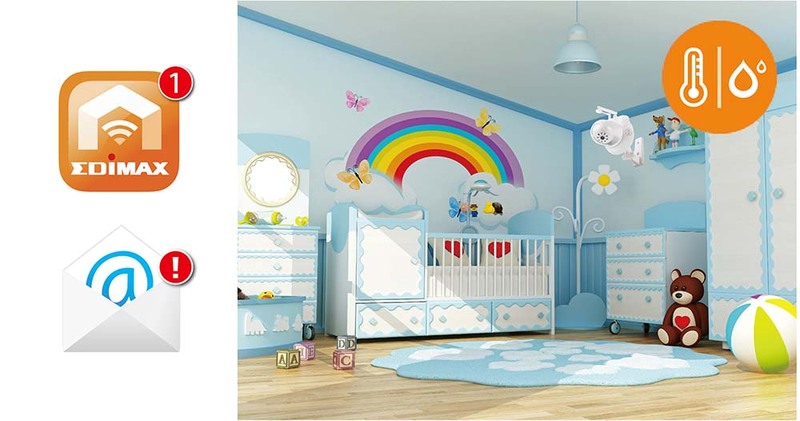 Its built-in reed switch works with 2.4GHz RF and connects to your existing home Wi-Fi network, with a slim design thats ideal for narrow jamb doors and windows. The sensor makes sure your doors and windows are shut so that pets cant escape and valuables are safe, or you can even use the sensors on closet doors and drawers. It works with the IC-5170SC. With the convenience of the IC-5170SC surveillance system, youll be informed with video alerts when your loved ones arrive or leave home. Youll have no worries about leaving a back door ajar or the side windows open at night, and get immediate warnings when the door or windows are opened. Stay in a cozy bed on an icy cold evening. You dont need to get up to check that doors or windows are closed at bedtime. Make sure everythings secure from your warm bed. No worries when you’re working late. Having a busy day at work? Cant get out of the office on time? Check in at home from your smartphone and know when the kids are home from school and everythings alright at home. Know what’s happening at home, wherever you are. Youll always be informed on your smartphone with real-time video alerts, no matter where you are. So youll know if its just your kids playing or an unwelcome guest at the door. 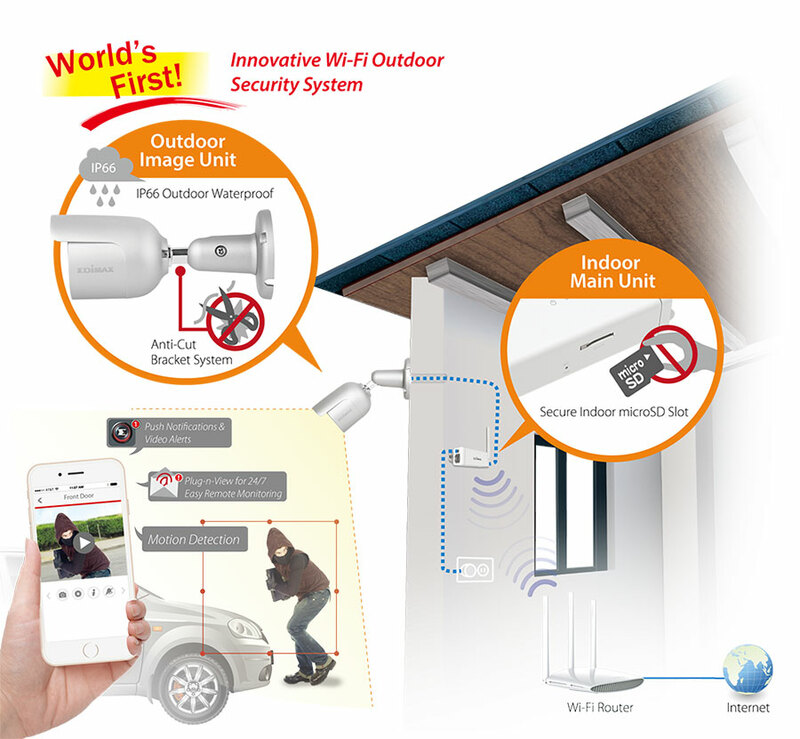 The WS-2001P Door & Window Sensor works with the IC-5170SC gateway which to offer wider angle views than conventional Wi-Fi cameras, the IC-5170SCs fisheye camera can cover your front door, garage or a whole room without surveillance blind spots. Compared with installations of other cameras on the market, the IC-5170SC not only slashes the cost of devices, storage space and bandwidth but provides more convenience to work with multiple environment sensors to watch and secure your properties at the same time. Its effective regardless of whether youre living in a small apartment or a mansion. 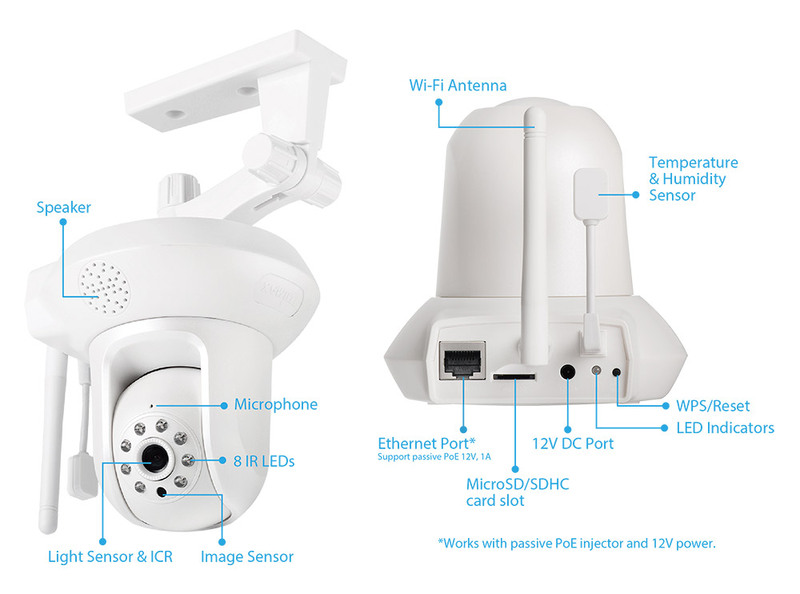 The IC-5170SC integrates a Full HD Wi-Fi fisheye camera with two door/window sensors, one PIR heat-based motion sensor and a temperature & humidity sensor. It can see, sense & secure your property and instantly show you real-time status and events around your house on your smartphone. 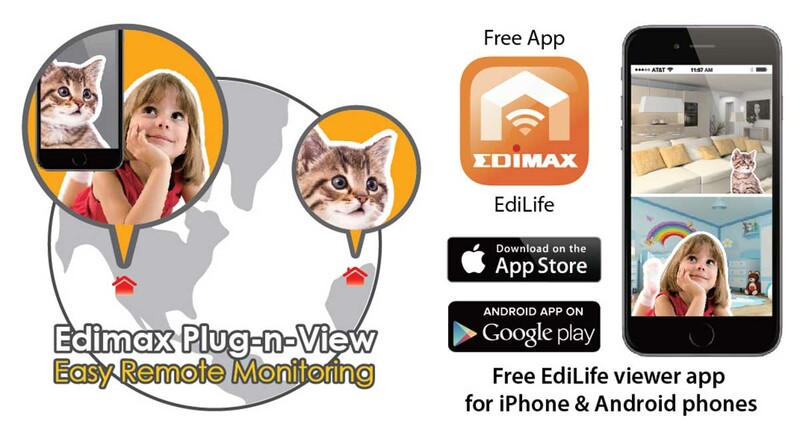 And with the free EdiLife app, any activity at home can be monitored when youre not there. The IC-5170SC is simply the best all-in-one Smart Home Sensor Kit youre looking for. Universal compatibility with any Wi-Fi router so you dont have to install another home center or hub to manage your smart devices. Easily attach the sensors and connect to the gateway automatically, and let the free EdiLife app take care of the rest. Remote-monitoring, accurate detections of environment changes and instant notifications and alerts. Offering wider angle views than conventional Wi-Fi cameras, the IC-5170SCs fisheye camera can cover your front door, garage or a whole room without surveillance blind spots. Compared with installations of other cameras on the market, the IC-5170SC not only slashes the cost of devices, storage space and bandwidth but provides more convenience to work with multiple environment sensors to watch and secure your properties at the same time. Its effective regardless of whether youre living in a small apartment or a mansion. Built-in reed switch works with 2.4G RF and connects to your existing home Wi-Fi network, with a slim design thats ideal for narrow jamb doors and windows. Make sure your doors and windows are shut so that pets cant escape and valuables are safe or you can even use the sensors on closet doors and drawers. With the convenience of the IC-5170SC youll be informed with video alerts when your loved ones arrive or leave home. No worries about leaving a back door ajar or the side windows open at night, and get immediate warnings when the door or windows are opened by exterior forces. The IC-5170SCs dual temperature and humidity sensor keeps you aware of micro climate changes in your environment. People often receive daily weather reports to choose clothes for warm or cold weather outside but dont know much about indoor conditions. With better awareness of temperature and humidity levels inside, you can be much more comfortable at home and prevent family from discomfort or health issues caused by dry air or moisture problems. An indoor sensor is an excellent tool to monitor and manage the temperature and humidity inside your home. Recordings from the IC-5170SC can be saved directly to microSD, SDHC, NAS, Google Drive or Dropbox flexible options for you to save video on the cloud or local storage. Save events directly to your NAS or cloud storage instead of local physical devices for remote backup. Don’t miss any delivers while you’re out. Two-way audio. See who’s out there and answer your door from anywhere. 640 x 480 VGA video quality from your door. Flexible storage options: supports 64G microSD/NAS/Cloud. Night vision to see up to 1.5 meters. The IC-6230DC is a brand new wireless door camera that hooks securely over the door without any screws or installation tools. It fits any door and provides crisp images along with an advanced motion detection system with passive infrared (PIR) sensor.Including mobile push notifications and powerful night vision for clear views in the dark. Just check your smartphone using the free all-in-one EdiLife iOS & Android app to see whos there from the safety of your home or while youre out, day or night. Always experience the comfort and convenience of a smart, connected the door hook with IC-6230DC from the mobile devices. 24/7 easy remote monitoring on your smartphone or tablet. See and answer your door and speak to visitors from anywhere. Fits securely to door and features push notification alerts. PIR, sound or motion detection triggered snapshots and recording. Built-in high-quality microphone and speaker for two-way voice communication, so you can view & talk with whoever’s there from anywhere. DIY for your own surveillance without installation fees or monthly charges. Just hook and attached over the door with ease. Easy smartphone setup. Just pair the free EdiLife app with the IC-6230DC to watch a live stream in no time. Home security always begins at the front door. The IC-6220DC is just like your front door security guard to keep burglars out of your house that taking care of your home security day and night, offering you peace-of-mind. 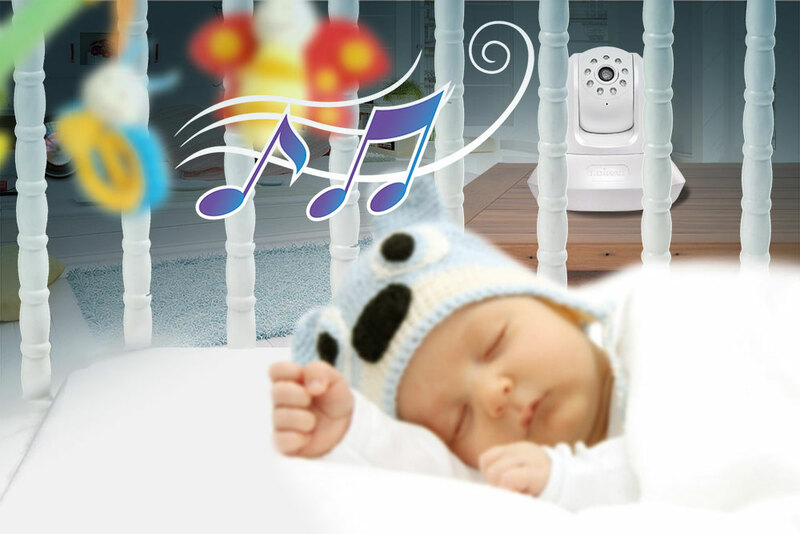 Moreover, with the IC-6220DC there's no need to be afraid when home alone. Especially reassuring for the elderly or pregnant women, you can see what’s happening from a mobile device and decide to answer the door or not. Receive important deliveries or notifications, or filter uninvited people or salesmen who visit. Say goodbye to inconvenient and complicated setting procedures. Only a couple of taps on your smartphone and the free EdiLife app allows you to view live videos, receive push notifications, and listen or talk to someone at your door. 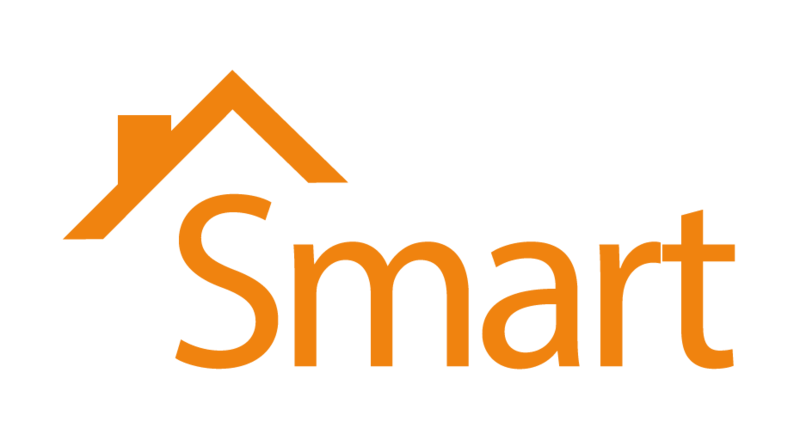 And you can connect some of compatible Edimax smart products such as network cameras or smart plugs in a few simple steps, to access them remotely with mobile devices all of the time. Camera Viewer : 75 x 25.5mm(D), the bolt excluded. 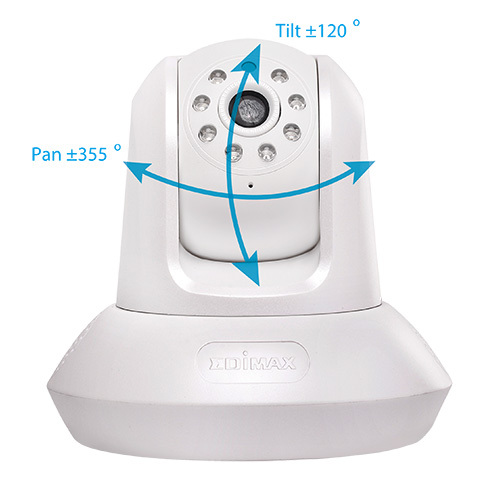 The Edimax IC-5160GC is a cloud camera designed for garages that can connect to a garage door motor to open and close the door. Theres a built-in smart geo-fencing feature that works with Google Maps and reminds you of monitoring your garage door open or close. Modern day home security thats always connected, alert & available on your smartphone. IC-5160GC is a cloud camera designed for garage security that can control the garage door remotely and know whats happening in garage when you are on the go.